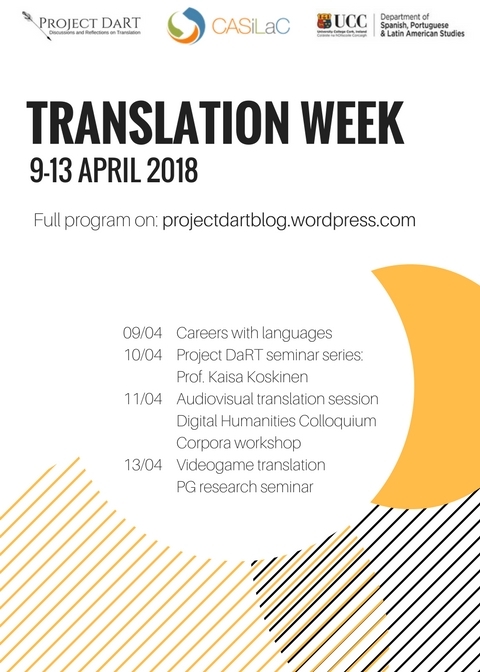 Project DaRT and University College Cork present a complete week of events for anybody with an interest in the theory and practice of translation. Join us for a number of workshops, taster lessons, and research seminars featuring scholars and practitioners with experience in a wide range of areas within the discipline. Information session on career options in the language and translation industry. Workshop and research seminar with Prof. Kaisa Koskinen (University of Tampere).